This code will obviously only work when a video player is successfully added to the website and this should be done without using any third party software. The main complex issues start to arise when it comes to the type of web browser that is being used to view such videos along with the video encoding that is used since syntax has a very little role to play in this whole process. The complexities and issues that arise from the browsers are not very uncommon since web programmers have always had such issues in the past. As soon as a new version of a browser is available, the worries regarding their compatibilities arise. This has forced the web developers and designers to make sure that the new browsers like Chrome 4 and even Internet Explorer have successfully implemented the new standards that allow videos to play through the embedded code. 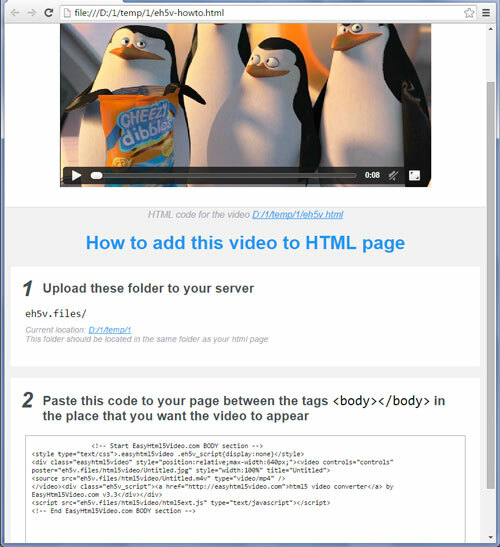 Making use of HTML 5 to embed videos does come with its own limitations and drawbacks. The main limitation that arises here is that HTML5 does not allow users to watch a video on full screen. Some browsers do support full screen viewing, but there are many that do not. Moreover, the players come with a very basic menu and look very simple which means that there is lack of opportunity to customize the menu accordingly with the site to make it look more relevant to the brand. A very simple example can be taken of the corners of the video playback. The variations in these corners occur because of the use of different browsers. For instance in Firefox a video may look a bit casual with rounded corners, but in browsers like Chrome, the video playback might occur in a solid square, which looks more formal. Web developers and designers that are very casual about video embedding will possibly find HTML5 interesting and will find some comfort since they would not have to go to other third party websites and applications just for the sake of the video. This will result in less money spend on buying such plugins and will end up having a cost effective solution at hand. They will also find it easier to convert videos to the HTML5 format due to availability of decent websites and applications such as Easy HTML 5 Video, a great HTML5 video converting tool that can be found on http://easyhtml5video.com.